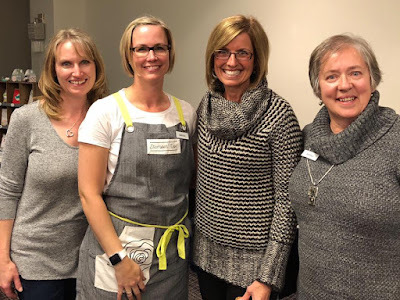 Karina's Kreations: Shelli's Surprise Visit! I missed my blog post yesterday as I was in Calgary running a card making/product demonstration event. 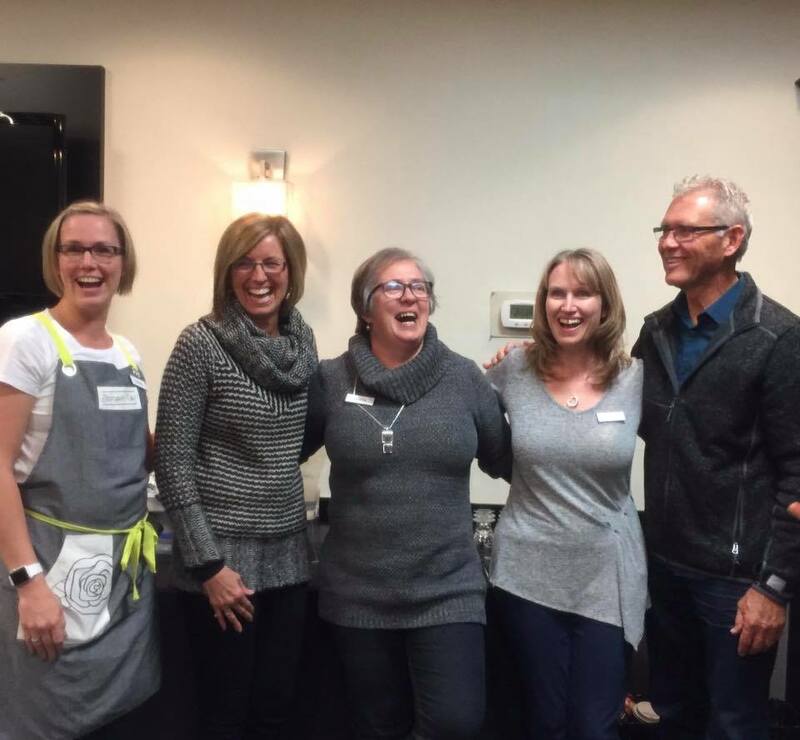 This is our third event in Calgary and we got quite a surprise. Shelli Gardiner, the owner of Stampin'Up popped in for a quick visit. What a special day!!!!! I can't tell you how excited I was. These are two of the pictures. Could our smiles get any bigger? 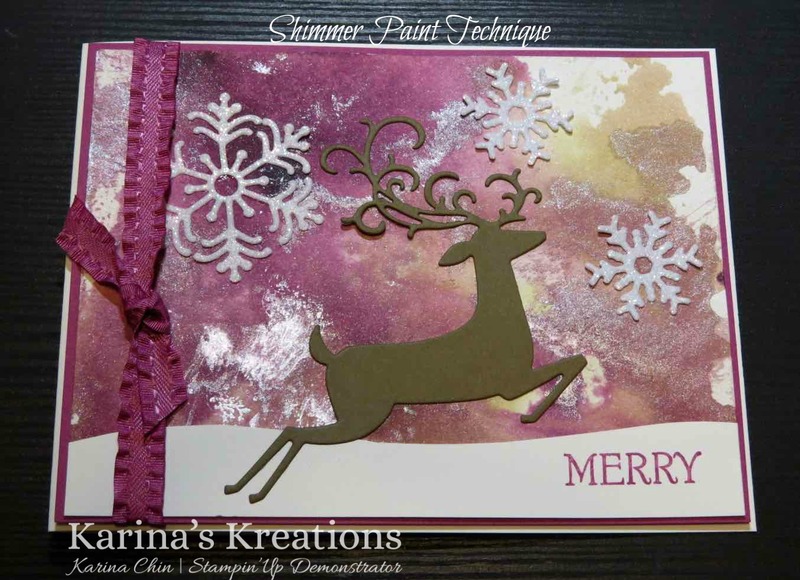 My demo was based around 7 techniques using shimmer paint. I'll be doing a class in Edmonton on Oct 29, 12:30-2:30 or 7:00-9:00 if you want to learn these techniques. This technique uses Black Berry Bliss, Old Olive and Frost White shimmer paint. You place a few drops on a silicone mat and spritz the mat with water. 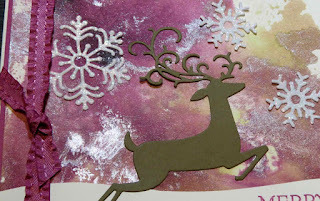 Then drop your shimmer white card stock in the ink mixture and let it dry. It's so fun!! I used the Dashing Deer and Blizzard Thinlits die to make my card.